Recently he has resolved a number of issues which have dogged the government since the horror budget of 2014, but will it add up to a narrative that changes his party’s electoral fortunes? In the latest education changes Simon Birmingham may have become the “fixer” Christopher Pyne claimed to be and may have neutralised one of Labor’s strengths, by stealing Gonski. In truth the government over the next four-year budget term is going to carve $2.8 billion off the universities and give an extra $2.2 billion (only) to schools. According to Katherine Murphy, the $2.2 billion is $6.3bn less than Labor had pledged over the four years 2018 to 2021. Over 10 years (2018 to 2027) schools will receive $22.3bn less than under Labor. 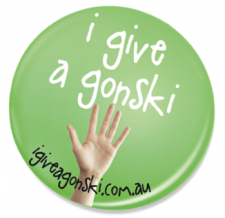 Yet Bernard Keane at Crikey and the Grattan Institute say we are getting the full Gonski. You can read about it from Michelle Grattan at The Conversation, Gabrielle Chan and Paul Karp at The Guardian, a series of experts at The Guardian, Phillip Coorey and Jennifer Hewett at the AFR and Karen Barlow at Huffpost. Tanya Plibersek complains that we are getting a $22 billion cut over 10 years rather than a $30 billion cut, and it’s all dressed up as a funding bonanza. I think there are two things at play. Firstly, the Government is slowing implementation down by up to eight years. Labor’s Gonski, introduced in the 2013-14 budget, was planed to be implemented in full over six years. Secondly, Labor was willing to over-fund some wealthy schools to ensure that no school receives less funding. To the Government’s credit, they have bitten this bullet with 24 schools getting less, and another 350 schools getting less increase than the would have under Labor. Back in 2004, Mark Latham’s ‘hit list’ of private schools helped lose an election. Only a LNP government could do what is being proposed. Tony Abbott is keeping the faith, fighting the good fight for the wealthy, pointing out that the proposals have not yet been discussed in the party room. Good luck, Tony! Laura Tingle says Turnbull, by stealing Labor’s policies, has reversed the “Coalition’s oafish rejection of the Gonski report’s recommendations half an hour after they were released in 2011, then the Abbott Government’s attempts to undo funding deals done in their name”. It does seem, however, that states and the Catholic school system are not happy. They had a deal, and the losses of funds for government schools in the coming budget period are substantial – $300 million in Queensland, around $630 million in Victoria. The Liberal government in NSW is threatening to sue the Commonwealth. Tom Bentley, a policy adviser who drafted the terms of reference for the original Gonski review, one of The Guardian’s experts, points out that the Government is entrenching huge inequality by locking in the Commonwealth’s role as “minority” funder of government schools and “majority” funder of non-government schools. The model proposed lifts the Commonwealth share from 77% of the Gonski ‘school resource standard’ (SRS) to 80%, while their share for government schools lifts from 17% to only 20%. The Greens look disposed to run with the proposed model, as it establishes needs-based funding together with some new money, which will enrage Labor. Simon Birmingham has engineered a giant backflip in LNP school funding philosophy. Those with a memory can still see Christopher Pyne sneering at Labor’s Gonski funding, with the argument that extra money is not the answer, banging on about teacher quality and promising a new system of funding, about which we never heard a single detail. There remained a conundrum, made much of by Pyne, and until recently by Turnbull and Birmingham, that while extra funds were being applied Australia was slipping down the international league tables in student performance. Indeed, its students were on the average performing worse in absolute terms. Gonski has now been given the task of heading a new inquiry, under the banner of “Quality Schools” to solve the conundrum. I’m more than happy for him to have a crack, and am pleased to note that Ken Boston will be on board. Presumably they will be looking at how the system is benchmarked, and hence NAPLAN, as well as the nature of the curriculum and how teachers are prepared and supported. So having stolen Labor’s clothes on school funding, and having let the universities off with just a haircut, the LNP is said to be saving good news on health for the budget. We’ll have to see whether it all cuts through. Right now Essential Report has the LNP stuck on 53-47 TPP behind Labor, and beyond that Galaxy found the LNP 50-50 in Queensland on federal voting intentions. That alone could lose the LNP seven seats. BTW, the LNP has fallen eight points in Qld in its primary vote since the election, from 43% to 35%. One Nation, where most of those votes went, has fallen from 18% to 15% since February. Labor is up four since February to 33%. These are significant changes. Previous PostBlessed be the poorNext PostUniversity funding: drifting to mediocrity? The boss lady’s take is that the thing that is driving teachers like her to early retirement is the growing load of unpaid admin work and pollies that are prone to blame the teachers instead of looking in the mirror for the real culprits. She is also rude about all the time wasted on tests that are being used to rate instead of working out what students and schools need help. If the government was serious about reducing education costs it might start by asking how much of what the commonwealth education dept really achieves apart from generating demands for even more paperwork. John, my hope is that the new Gonski review is a chance to wipe away the obsession with testing and teaching measurables, to free up teachers to work with children again in acquiring skills and knowledge. He could make a real difference.